Nick Healy, me, and Nicole Helget at Uno restaurant in Boston. Photo courtesy of Nicole Helget. Photo taken by unnamed waitress. For years, people around me have intoned the magical acronym “AWP.” As in, “Are you going to AWP this year?” Around January each year, I start to hear “AWP….AWP…AWP” more and more often, leading up to the annual writing conference in late winter. For years, I felt like the wallflower at the dance. It seemed that every writer I knew would go to AWP except me. What was this mysterious conclave all about? Why did everyone talk about it? I was determined to find out. AWP (the Association of Writers and Writing Programs) is the largest writing conference in the U.S. It brings together 11,000 people—writers, writing professors, publishers (both large and small presses), officials from writing organizations, etc. It’s held in a different city each year. My biggest barrier to attending was always money. I don’t work for a writing organization or teach writing at a university, so I would have to pay for the entirety of AWP on my own—plane ticket, hotel, and conference registration. But this year, I was fortunate and blessed to have received a grant from the Prairie Lakes Regional Arts Council to attend. I knew that AWP would be of great benefit to my writing career, with more than 500 panels/readings to choose from and hundreds of book fair exhibitors to connect with. AWP was held in Boston this year. 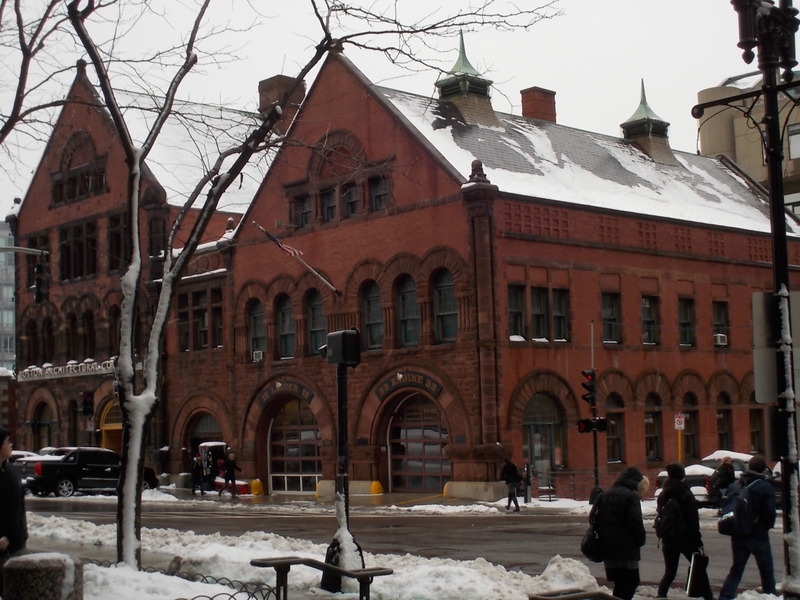 This cool old fire engine building was across the street from the Hynes Convention Center. Photo by author. 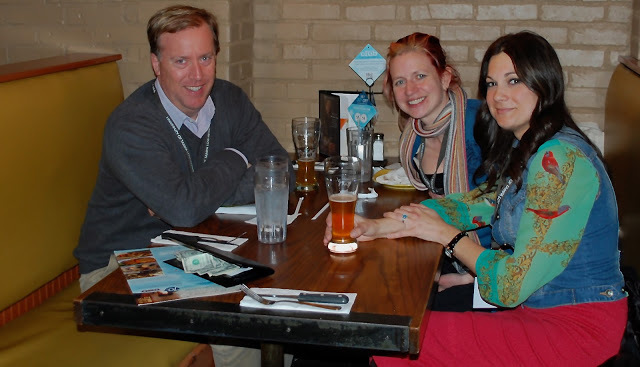 If I was to go any year, AWP 2013 was the year to go. My book is out in just a week. The timing wasn’t perfect—it would have been great to go to AWP with a published book in hand. However, the staff at the University of Minnesota Press made me a great informational flyer to hand out, and I also had a few advanced copies to distribute. I was anxious before AWP. Clearly, a crowd of 11,000 people is overwhelming. I had heard of horror stories of attendees becoming completely frazzled and wiped out because of the sheer amount of information. But I got some good advice before I went: Pick out just two or three panels to attend each day. Create blocks of time to saunter through the book fair. And of course, have fun, connect with friends (old and new), and enjoy being a writer for a few days. I took that advice and had a successful conference. I picked panels that mostly addressed nonfiction and social media. I made a couple of important connections regarding possible freelance work. 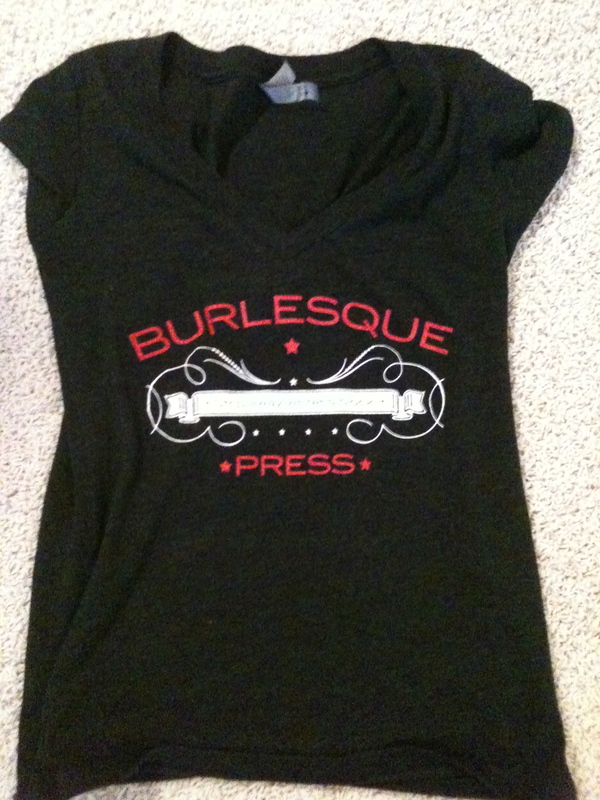 I met a woman who started a small press—Burlesque Press—and how cool would it be to attend that press’ writing festival over New Year’s Eve in New Orleans! Plus, she had the best t-shirts at AWP. And I handed out all of my advance copies—we’ll see if some reviews result. I just had to buy one. Love the design! I’m still in the process of going through my notes and digesting all of the information that I took in. Doing that alone would be a full-time job for the next few days—I’m back to work, so I’m finding a few minutes here and there to devote to this task. Main takeaway: AWP should be on the bucket list for any writer. It’s not cheap to fund the trip yourself, but start to save now. Build your family vacation around it. With some strategic planning, AWP can be well worth the price. Feb. 8-11, 2017: Washington, D.C.
Thanks–it sounds like fun and a great opportunity for learning and networking. Thanks so much! It was a great opportunity. I’m glad I had the chance to attend.